Congratulations to "Jennfier", the winner in Lisa's giveaway. Thank you to all who participated! 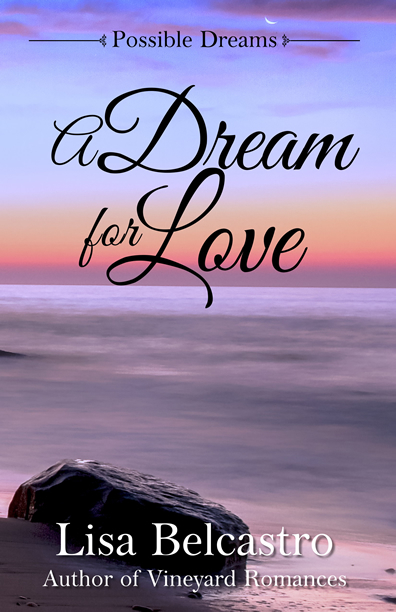 In my latest release, A Dream for Love, I had the opportunity to write part of the storyline around Halloween. Unfortunately for my lead characters, their Candy Day would not be sweet. A stalker has been trailing movie star, Ryan Crandall, and this stalker has a sick fixation with the darker side of Halloween. Since childhood, this man has premeditated a particularly vengeful act for execution on Halloween night. This year our stalker has come up with his best (or worst) idea yet. Ryan and his houseguests, Laurel Simmons and her 4-year-old daughter Gracie, are oblivious to the plans being made just for them. They’ve got their Little Mermaid character costumes ready, and Gracie is counting the hours until they go trick or treating. Ryan’s stalker, or perhaps he’s Laurel’s stalker now, has his own costume ready, and he’ll have the opportunity to wear it. I didn’t have to scan the newspapers too far or too hard to find a few twisted events that happened in conjunction with Halloween. I avoided the grislier activities, but still needed a life-threatening scenario that could, or would, result in a character’s death. Detective Slavin of my local police department was a wealth of information, and extremely generous with his time. I learned a lot about cell phones, geo-tracking, tactical response teams, and situations that I want to avoid at all cost. My heart broke for my characters. It’s not always easy to drag your characters through hell and back, especially when there’s a child involved. I had to write these “scary” chapters during the day, and switch to something nicer at night before bed. Needless to say, I prefer my Halloween to be focused on cute little children in costumes, decorations and jack-o-lanterns, and plenty of candy. I love so many kinds of chocolate that I couldn’t list them all here in the space allowed. If we narrow the choice down to traditional Halloween candy, then my top three selections would be: milk chocolate Hershey bars, Reese’s Peanut Butter Cups, and Tootsie Rolls. What is your favorite Halloween Candy? I’ll be giving one copy of A Dream for Love, and a box of chocolates to one commenter. Alex hiked back to the vacant house. A couple of dozen people could camp in the place. The homeless in Boston should vacation on the Vineyard in the off-season. So many empty houses waiting for the needy. Alex sniggered. His needs were about to be met. Two sandwiches and a change of clothes later, Alex walked past the large mirror in the foyer and paused. The blue suited him. He smoothed a wrinkle in the collar, and then pulled the badge out of his pocket. When he clasped the silver pin onto the breast pocket of his shirt, the uniform was complete. Perfection! The average person wouldn’t question a cop, and if a real cop spotted Alex, he’d say he was heading to a costume party. His luck was definitely on the upswing. No wonder Halloween was his favorite holiday. One could do all sorts of fun things on Halloween, and people chalked them up to the theme of the evening. His nosy neighbor never knew he’d egged her house. Toilet papering Mrs. Neiman’s roses bushes had been small justice after enduring her innumerable corrections of his grammar. He smiled at the memory of his best Halloween night ever. During his senior year in high school, he’d been in love with Lucy Taylor. Lucy refused to go out with him. Lucy loved her black cat. The cat paid the price for Lucy’s rejection. In a few hours, Laurel would discover what happened to women who defied him. Alex shoved the notecard and a small roll of duct tape into his back pockets, and then he headed out the door to his fortune. He strode across the fields, confidence building with each step. Five years of bad luck, but that was about to change. Giveaway ends 11:59pm EST Nov. 1st. Please supply your email in the post. You may use spaces or full text for security. (ex. jsmith at gmail dot com) If you do not wish to supply your email, or have trouble posting, please email maureen@JustContemporaryRomance.com with a subject title of JCR GIVEAWAY to be entered in the current giveaway. This book sounds great. My favorite Halloween candy are butterfingers, snickers and those orange suckers with the pumpkin faces on them. Those are hard to find. I do love a good stalker. I also love any chocolate that has nuts in it. I totally agree, Mary, as long as the stalker isn't stalking me! Chocolate with pecans is always a good treat for me, or anything with chocolate and peanut butter. Yum! My favorite Halloween candy is M&Ms....perfect to eathe while reading a good book! Have you had the mint M&M's, Trude? Those are my favorite flavor of M&M's. As for candy...Reeses Pieces and Kit Kat. I've recently discovered the peanut butter Kit Kats - YUM! Any chocolate is good for me. :) But favorites are PB cups and milkyway. I love any caramel mixed with chocolate. Wow, talk about a suspenseful book! I can't wait to read it!! I LOVE Reese's Peanut Butter cups. Yesterday I indulged in the Reese pumpkins - so much peanut butter filling. Delish! My favorite candy is the Thousand Grand bar , Heath bars, Snickers, Hershey, M&Ms, BabyRuths, Krunch, Kit Kat, Almond Joys, Andy's candy, Mars, Milky Way, Reece's cups, and Peppermint Patties. There's so much more but I'd better stop there. Hehe! I'm laughing, Jenny! Your candy list reads similar to mine - long and filled with deliciousness! My favorite candy is Milky Way and then Mounds, Almond Joy and Butterfinger. Love having a bag of the mini ones beside me while reading a good book and this book sounds wonderful I especially love suspense. Chocolate and coconut is a wonderful combination. I have a fantastic recipe for homemade mounds bars. Yummy! I like that National Free Candy Day... some of my favs are peanut M&Ms and 100 grand bars. 100 grand bars were my favorites from around 9 to 11. I love the crispy/gooey of them. LOL - pretty much any chocolate for me too, as long as there is no coffee in my chocolate. Well, as much as I love chocoholic. for Halloween my fave candy are Smarties (American version). The story sounds intriguing and I like the cover. I'm glad you like the cover. I love it. The beach that the photo was taken it is one of my most favorite places on earth. All fabulous choices! We could have a great time reading and munching. I'm a Hershey Milk chocolate fan, too! Nuggets are great - a lot of chocolate packed into a bite. Unfortunately, I don't usually have one bite - LOL!